socially engaged approach” to telling the complex story of conflict in the Balkans. 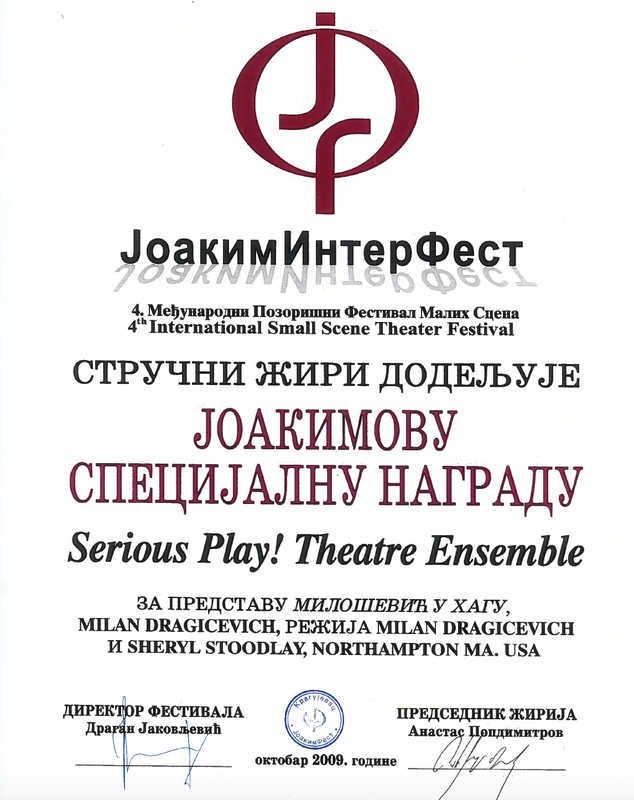 Given at JOAKIM INTERFEST international theater festival, Kragujevac, Serbia, October 15, 2009. New England Public Radio, “Morning Edition,” special feature coverage on the premier of Milosevic at the Hague, Susan Kaplan, reporter, February 2009. Valley Advocate, StageStruck, “Window on the Balkans,” a critical review of Milosevic at the Hague, by Chris Rohmann, February 26, 2009.